Welcome to my new website! Thank you so much for your interest in obtaining a print from me. I offer all of my prints on 3 different mediums; Lumachrome HD acrylic, Chromaluxe HD Metal and Fuji Pearl paper. I offer my entire body of work through this website, in sizes ranging from 18x32 all the way to 48x72. 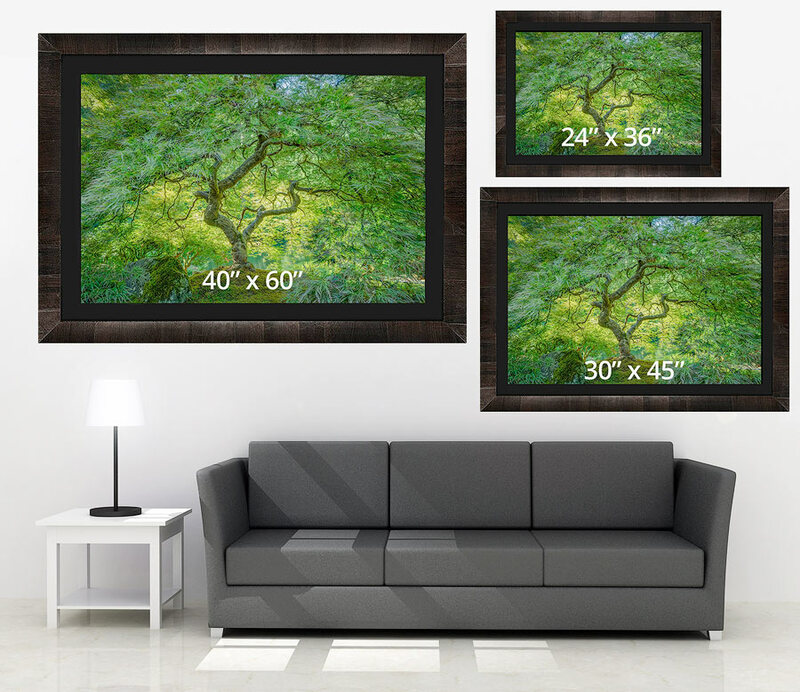 Every ChromaLuxe HD Metal and Lumachrome HD Acrylic pieces are finished using "float Mount" gallery quality mounting materials creating a ready to hang piece that does not require exterior framing of any kind. This not only relieves you of the need to pay for expensive external framing, but also creates a visually clean and crisp display that looks striking in any home or business environment. Shipping is included at no additional cost anywhere in the US for pieces 60" and under. If you are the type of person who truly wants the absolute best in quality art, I offer my Lumachrome HD prints externally framed with ROMA Hand Made Italian Tabbachino Dark Ash Framing and linen liners in your choice of colors. If you have any questions please feel free to contact me at any time via email or telephone. I more than happy to speak with potential collectors of my work and happy to help in any way that I can.